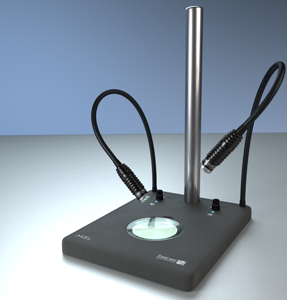 The microscope stand MSL is a professional base for all stereo and zoom microsocopes with a column mounting. Thanks to a flexible incident light with the modul-LED®-System, developed by StarLight, and the optional LED transmitted light the MSL is perfectly equipped either für production and inspection tasks as well as for typical laboratory aplications. Two felexibly poisioned gooseneck spots serve as incident light. The modul-LED®-System enables the quick and easy switch of the LED modules in the light heads. The MSL is also available in a version with a LED transmitted light. 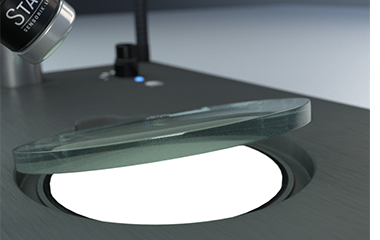 This is integrated in the base and offers perfect and homogenious brightness for a research of transmitted objects. 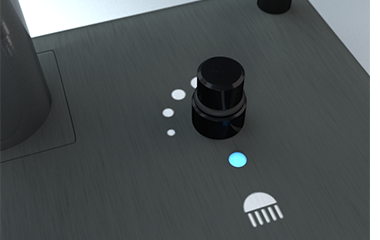 Both lighting systems can be controled from 0% to 100% with two easily reachable rotary knobs. An optimized electronic delivers a absolutely flicker free light and enables stripe-free pictures for photo- and video applications. The high-quality LEDs have a long life span, even at daily use over several hours. 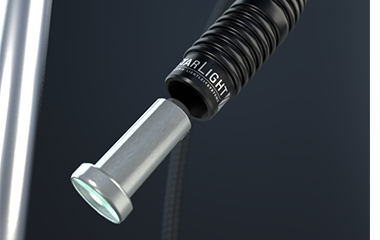 StarLight has developed the innovative and unique modul-LED® System for various applications. It offers the user a wide selction of light colours and beam angles. Furthermore it enables a quick and easy switch of the LED modules for the adaption of the LED lamp to individual applications.